People don’t like to fill them out. People don’t see what’s in it for them. Getting people to fill out and complete your survey can be quite a hassle. Some surveys even have a response rate as low as 10%! What if there was a way to get all the responses you need as fast as possible? What if there were 34 ways? Not every tip might be applicable to your case, but using them liberally will improve your response rates with 30 to 55%! The word “survey” often has a bad connotation, especially in people’s inboxes. One effective method to get them to fill out your survey is to disguise it as a quiz. We’ve seen that “take our quiz” has double the open rate of “take our survey”. Ask five or six quiz questions and add a rating question with a text box at the end. People won’t mind, they won’t even notice it. Allow them to voice their compliments or concerns. Dissatisfied customers whose complaints are taken care of are more likely to remain loyal, and even become advocates, as those that are ‘just’ customers. Filter out people who give long positive answers and get in touch with them. They make great brand ambassadors! There’s definitely something like too many surveys. Depending on the strength of your relationship with the respondent, you can have more surveys. If you stick to this, you can expect a more stable response rate each time you send out a survey. How long is too long? Generally, surveys that have more than 15 questions are considered “too long” and your completion rate will start to drop. In our experience, you can get anything you need from your respondent in maximum 10 questions if you don’t have a prior commitment. Shorten your survey as much as possible and remove all unnecessary questions. A nice workaround if you need more than 10 questions is doubling your sample size and splitting your questions over those samples. For example, if you have 20 questions, double your subset from, let’s say 200 people to 400 and ask 10 questions to each set. Some surveys require responses of certain demographics. It’s important to identify what those demographics are and focus only on these people, so you don’t waste time and effort on respondents who don’t match. If the survey topic is important or relevant to the recipient, response rate raises between 12 and 14 percent. Make sure you segment and target your database to achieve this. Use Clearbit Sheets, prospect.io or similar tools which allow you to analyze your database and automatically determine attributes such as gender and industry. Questions should be framed in such a way that they attract attention from your audience. Don’t be a bore and avoid jargon. Use the Helping Norm, which motivates individuals to help others in need. Using sentences such as “it would really help us out” can result in an increase in response rate up to 18 percent. Be positive. This does not mean: “be nice and happy all the time.” It means stay away from hidden or subtle accusations and negative statements. Additional tips on how to humanize survey questions can be found here. There are a lot of question types out there. Be sure to check out this guide on how to pick the right question type and find the most suited question types for your research. Have an impact by using interactive question types such as star or smiley ratings, image choice or more advanced gamification features that will make your survey more engaging, resulting in a higher completion rate, better insights and even boost brand recognition and awareness. People are more reluctant than ever to share personal information. Having a clear privacy disclaimer will make people more likely to answer honestly. And have a positive effect on the response rate of your survey. Only collect the minimum of personal information necessary. Put your disclaimer in your invitation email and near your demographics in the survey. We recommend adding a link that opens in a separate window, which will legally cover your bases. 8. How many responses do you need? Unless you’re working with a very small population, you don’t need to survey everyone in your target audience. But only a sample. Calculate your sample size by entering your population size below. This is the number of surveys you have to collect for a statistically relevant result. The sample size doesn’t change much for populations larger than 20, 000. Make your questionnaire clear, unambiguous and appealing to look at. 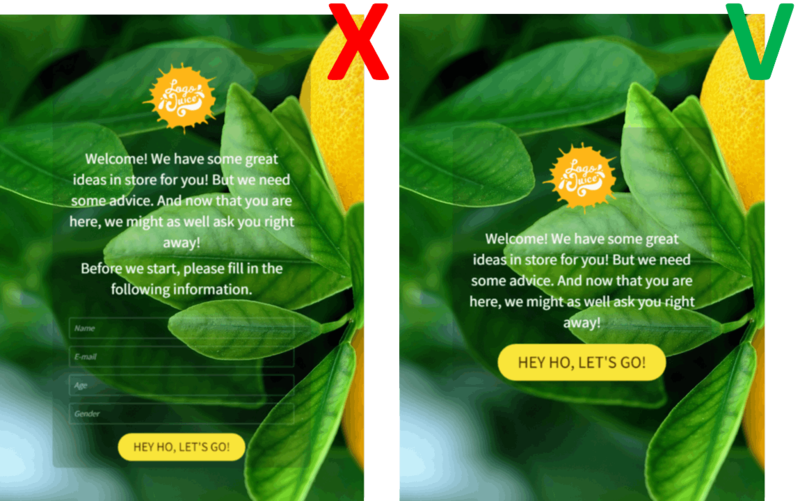 Your design is your first impression and you don’t get a second chance… Look at the design from the point of view of the respondent, because there really is no better way to boost your response rate than having a well-designed, respondent-friendly survey. Some tools offer a white label solution, which allows you to completely brand your survey. A strong display of corporate identity results in a higher credibility towards respondents, which in return raises response rates up to 10%. That’s why we recommend branding your surveys. You spend all this time and effort in branding all your media and communication channels, so why wouldn’t you brand your surveys? Use your brand’s logo and colors to familiarize your respondents from the get-go. This can easily be done with our logo widget. 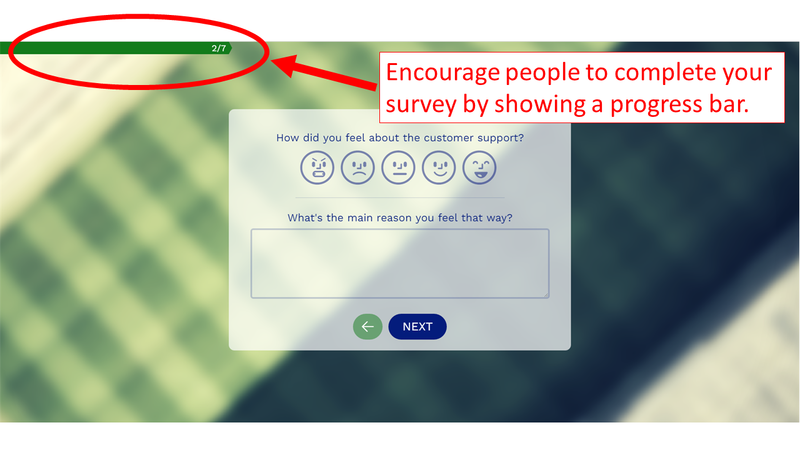 Showing a progress bar gives a clear indication of the total length of the survey and will encourage respondents to complete your survey, boosting your completion rate with 12%. Once people have decided to take your survey, get them started ASAP. You can’t just throw them in the deep end and hope for the best. Try to do this in a concise manner. Think of your instructions as a manual: nobody reads a manual from A to Z, they just skim through it (at best). So limit the introduction to less than 400 characters. If you can’t do it in less, put the “what you will do with the results”-part at the end, close to where you ask for demographics, it will serve as a reminder and improve the respondent’s willingness to share his personal details. There is one common practice we must exterminate: Do NOT start with the respondent’s demographics. This is a big turn off and will steer people away from your survey, resulting in a lower response rate. It’s a lot easier to get that information at the end when the respondent is already committed to filling out your questionnaire. In a world where mobile reigns, responsive design has become the standard. When you have an online survey, you have no control over which devices your respondent will use. You have to make sure your survey can be filled out anytime, anyplace and on any device, not only cross-browser but cross-platform! Not sure if you’re doing it right? Run your survey through Google’s Mobile-Friendly Test to see how mobile friendly your survey is, if it can be done on the smallest of screens, it will work on bigger ones as well. Make your survey automatically skip to the next relevant question for your respondent. Skip logic doesn’t only give a sense of personalization, it also increases efficiency, by showing only what matters to your respondent. Piping gives your respondents a tailored experience. Their answers are used in the next question, making your survey “smart” and more conversational, plus it will increase your completion rate with 6%. Don’t let all that hard work go to waste and check yourself before you wreck yourself. A friend, colleague or even your mom make great (and cheap) proofreaders. Have no friends? Check out Reverso’s spellchecker to avoid any spelling- and grammar mistakes. By now, your survey is ready to rock and roll. But you still need something to prep your audience first. How? By communicating in advance. The more contact there is between the respondent and you, the higher the participation will be. Studies using samples of the general population found that pre-notification letters or emails increased response rates by 4 to 29 percentage points. The template below shows all the necessary components of such a mail. Subject: We would love to hear your opinion, [First name]! As part of our participation in a [name project, topic] project, you will soon be asked to complete a [name survey]. This survey is part of our efforts to continuously improve [condition1] and [condition2]. Everybody will be asked to complete the survey online. It will take about [time] minutes to complete, and your individual responses will be kept confidential and anonymous. There will be no way to link responses with email addresses or other individual information. It is important to answer as honestly as possible. Please contact [contact’s name] on [email address and/or phone number] if you have any questions. Think about when you call a company and can’t get a hold of an actual person. It’s frustrating, right? This goes for email as well. People can spot an automated mail from miles away, and you’ll get flagged for spam faster than a speeding bullet. Thanks to the number of emails people get these days, most people hesitate to open email from unfamiliar senders. Instead, use your name or the name of the person responsible for the follow-up. In some cases, it works to use the name of the CEO to give your mail more authority. Take notice of the Anita-effect which suggests that, within a male-dominated business, open rates are higher when the sender is female. Emails with a personal touch result in an average will get you better survey results. It starts with your salutation. Begin with “Hi Tom, ” or “Dear Mr Smith, ” rather than “Hi There, ” or “Dear Mister/Miss”. Use the data you gathered from tip #4 and leverage it to personalize your email if you have their name: use it! And increase the feeling of proximity if you have a location as well. No matter what they say, people judge emails by their subject lines. In fact, 33% of email recipients decide whether or not to open an email based on subject line alone. That’s why it’s so important to craft subject lines that are compelling enough to get people to click through to your survey. Oh, and avoid using the word “Survey” in your subject! You can find more inspiration for great email subject lines from 25 experts in this article. If you want people to click, use buttons. There are plenty of case studies on the topic. Campaign Monitor, for example, got a 28% increase in their click-through rate with a button in their mail. What should your button say? A friendly reminder of who you are and what the purpose is. Mention what’s in it for them. One button with a link to your questionnaire and no other call to actions. Specify how their feedback will be used, people are more comfortable sharing information if they know how it will be used. Mention the length of the survey – if it is short, emphasize that. Optional: motivate them with one improvement you implemented based on the results of a previous survey. You HAVE to follow up, repeatedly, with those who don’t respond. This shows the respondent that their participation is important. You will get a higher participation rate if you send multiple reminders. According to contentmarketer.io, following up increases your chances of a response by 58%. In general, sending up to three reminders gets you the best results. If you’re on a tight budget sending follow up emails are a cheaper way of increasing your response rate than using incentives. Add a little bit of extra value to each mail to make your follow up relevant and worthwhile for the reader. 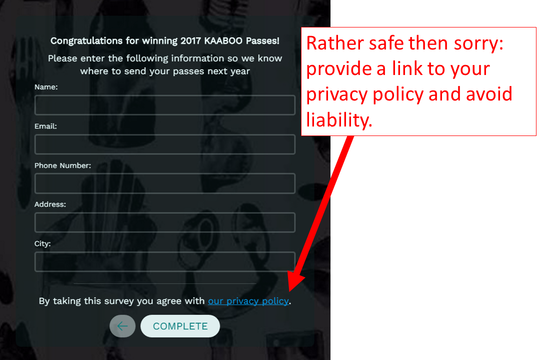 Put another reason why they should fill out your survey in there, or incentivize them. And don’t forget to filter out email addresses of people who do not wish to be contacted again. There will always be people who won’t open your emails. A nice trick to squeeze out an extra few eyes on your survey without much effort is sending your survey again to those who didn’t open your first email, but with a different subject line and/or sender. You will be surprised of the results. to produce comments that were more favorable toward the survey sponsor. Especially the second result is interesting because giving a too big incentive, will return more positive answers, which may cause a biased result. Add an element of surprise with a scratch card or slot machine. But make sure everybody gets something. 37% of people will complete a survey just to voice their opinion. They might even prefer to just share their views rather than receiving a reward, so consider making your incentive optional. For example: allow them to choose to be included in a raffle or give them the option to donate to a relevant cause. Reciprocity is the behavioral norm that says people should treat others as they have been treated. If a benefit has been provided to the participant, some sort of reciprocal benefit should be in turn provided. In human language: ask the respondent to fill out your questionnaire after a service has been provided. Sometimes you might want to ask questions to people with a different mother tongue. If there’s no professional translator or native speaker around you can use Yandex, which is basically Google Translate on steroids. Surveys don’t always need fancy graphics, sometimes they even distract from the content or influence answers. But there are a few ways to use graphics to improve your survey responses. Using an image choice question for example. This will make it easier to illustrate what exactly you are talking about. For promotional surveys: include an option to share the questionnaire with friends, colleagues or family. It’s a quick win to get extra responses. Encourage sharing by promising a better chance of winning an incentive, if their friends and family take the survey. Make it easy and include a button to share via email or Facebook. Have all replies to email invitations go to a live person who can quickly respond to any questions or concerns. Make it easy to contact someone on your end by adding a clickable phone number or email address in your invitation email or survey. When surveying people on the street or at an event, have someone nearby who can assist if necessary. In general, most respondents will want to see results. Communicating the survey’s results and what was done to the survey audience will maximize participation in future surveys. Some may even want to stay in the loop on future developments on the matter. Publish your results and, more importantly, act on them, if it’s possible (privacy or confidentiality clauses or concerns may prohibit sharing data). When possible, also include numbers and statistics, they give the results more authority and show the scale of research the respondent was part of. If and how you changed your product. Benefits or improvements you made because of their feedback. How your company’s new branding looks like. New services you offer or have altered. Bonus tip: People who show interest in the results, make a good target audience for a follow-up survey. With your feedback, we’ll make your next visit even better! Thanks a million for taking our survey. Thank you for taking the time to complete this survey. Have a nice day! In order to find what works best for your audiences, consider doing A/B testing. Test everything, your survey title, survey questions and email subject lines. Read how to A/B testing the right way. P.S: Don’t forget to add a strong P.S. Chances of your respondent reading your entire invitation mail or letter are slim, so make use of a P.S. or postscript. Because they stand out, which gives you the ultimate opportunity to stress the importance or value of the survey to the recipient. P.S: did you know we added 5 more dishes to our menu after our previous survey. You’ve made it to the end of our list! Congratulations! Now, let’s turn those words into actions! And feel free to share your results with us. Have another addition to this list? Get in touch and we’ll add you and your tip. thanks for the awesome article Nigel! super helpful :) ! Greate article. Keep posting such kind of info on your blog.Im really impressed by your blog.Hello there, You have done a fantastic job. I will certainly digg it and personally recommend to my friends. I'm confident they will be benefited from this website. Thank you! Very insightful and gave me lots of items to think about as I build out my surveys. Very helpful article on how to increase response rate of surveys. 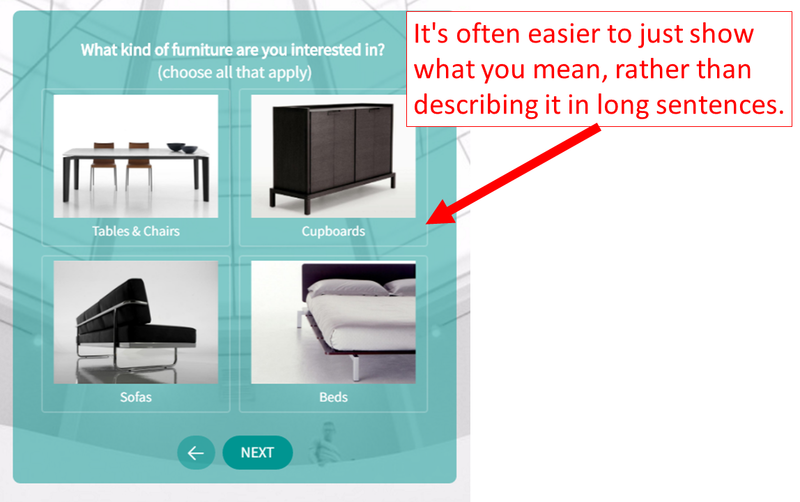 Its been useful for my Dissertation Survey on Smart home adoption. Thanks bud. This is a very informative post to improve survey response rates. Conducting a survey is a good idea to gather information from users related to business products and services. These tips are very useful and helpful. Thanks a lot for sharing the tips! !